At the boat landing dock on Islesboro Island, marking the entrance to Gilkey Harbor in upper Penobscot Bay. Privately owned but the grounds are open to the public. 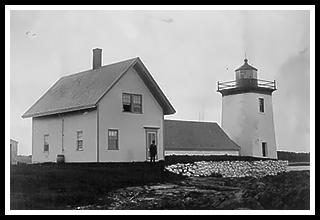 Grindle Point Lighthouse overlooks the entrance to Gilkey Harbor. The light is 54 feet above average high water. It was originally built in 1851 and was replaced in 1874. The tower alone stands 32 feet tall and is constructed in a unique pyramidal shape. Keeper James Hall, who had spent years previously at Matinicus Rock, was killed in 1916 from a rock blasting accident at Grindle Point. The light was deactivated in 1934, and replaced with a nearby skeleton tower. The keeper’s house was converted to the Sailor’s Memorial Museum in the late 1930’s for international tourism. In 1987 the lighthouse was relit using a solar powered optic. 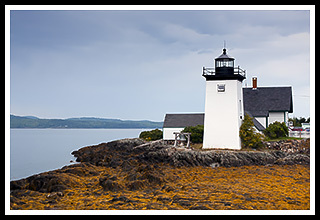 You can walk alongside this lighthouse and hike or bike the 13-mile long picturesque island of Islesboro. The Sailor’s Memorial Museum next to the lighthouse is open during the summer season. There is also a public beach, more roads for biking, and trails for hiking the area. The fishing village of Dark Harbor, allows you to relax and stop back in time at the Dark Harbor Store and have some ice cream. Actors John Travolta and Kirstie Alley have homes on the island. 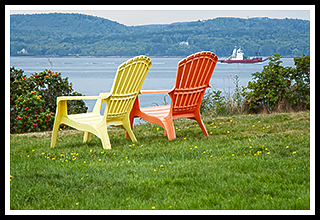 The auto ferry from Lincolnville Beach in the small artist town of Lincolnville allows you to bring a car on the island, allowing you to explore and enjoy the shoreline views. Camden Hills State Park lies nearby on the mainland to explore. For those who want a true rustic camping experience, you can leave the Islesboro island and travel by kayak or canoe to nearby Warren Island State Park. There are only ten campsites (with no amenities) available at a time so call ahead for reservations. The lighthouse can be reached by auto ferry from Lincolnville Beach, about 5 miles north of Camden on US Route 1, which docks right next to the lighthouse. Takes you to Islesboro Island where you can visit the lighthouse right near the dock. 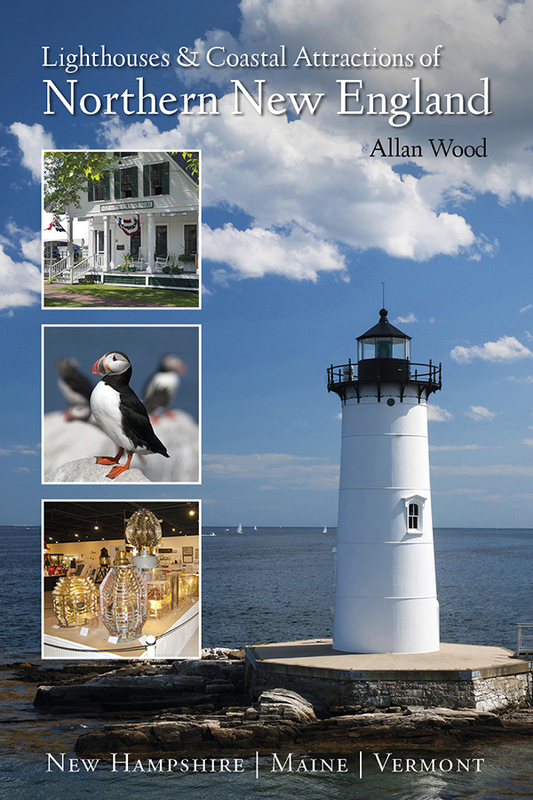 My 300-page book (with over 360 images), Lighthouses and Coastal Attractions of Northern New England: New Hampshire, Maine, and Vermont, provides human interest stories from each of the 76 lighthouses in the northern states, along with plenty of coastal attractions and tours near each beacon, and contact info to plan your special vacation.